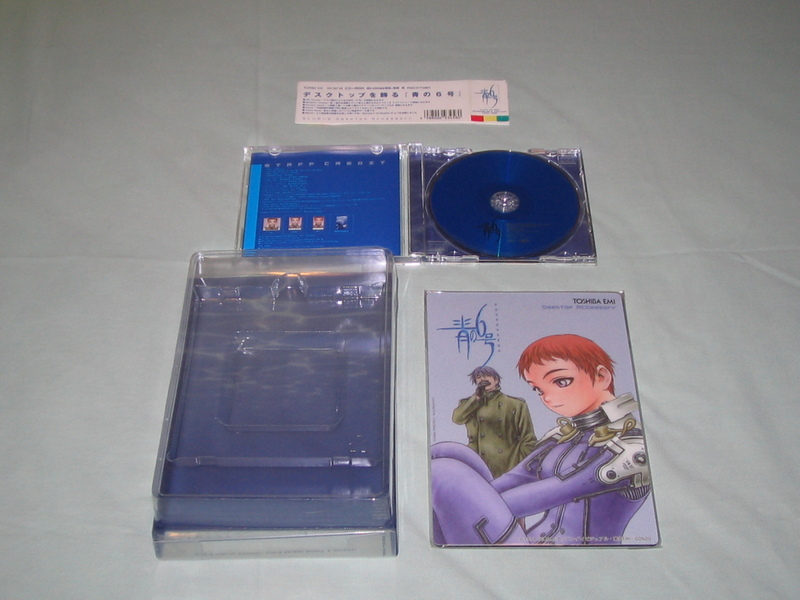 A considerable amount of official BS6-related goods were sold in Japan, mostly during its heyday period (1998 – 2002). Will be doing up this list as time goes by. Since 1998, the 4-episode BS6 OVA has been released in just about every format – VHS, DVD & LD, with several revisions and digitized versions also added along the way. I’ll just be covering the latest ones. 1 Bonus DVD (Visual Archives), containing interviews, character biographies and all the material from the Digital Plus featurette. 3 soundtrack CDs, one of them for the music in 青の6号: Antarctica. 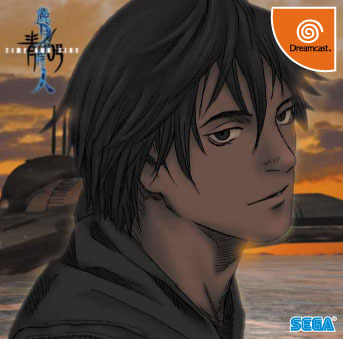 A 30-page booklet (“Undersea Archives”) containing some rare official BS6 illustrations, an interview with Satoro Ozawa, character biographies and notes on the show’s production process. A promotional poster of THE THRILL. Non-Japanese audiences should be most familiar with this version. 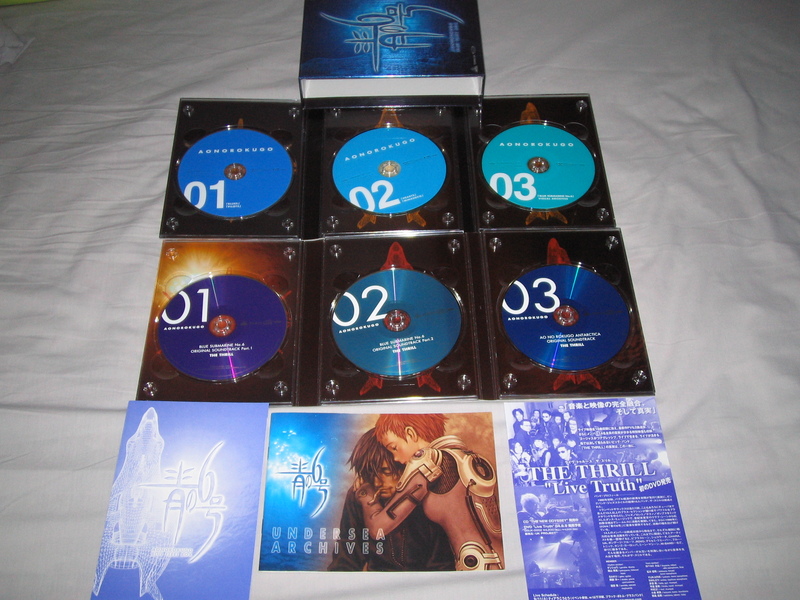 This 3-DVD set was released by Bandai Entertainment in 2007 outside Japan, and is still widely available online. Look for cheaper copies on Ebay if you want to save money. 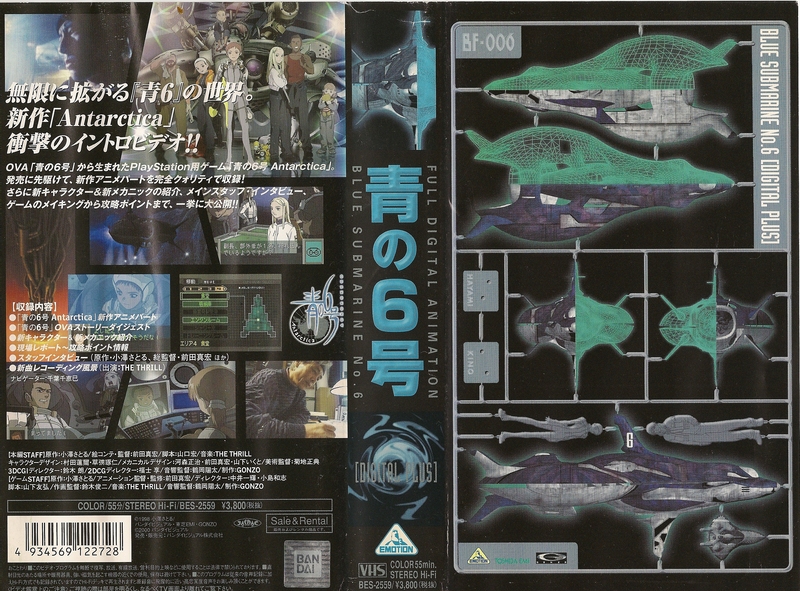 The 3rd DVD – Digital Plus, is basically an ‘English’ version of the original Japanese release, containing information on the BS6: Antarctica game as well as interviews with the OVA staff. Overall, its not as complete as the Blue Fleet Box, but is a hell lot cheaper. They also snuck in some annoying trailers and advertisements for other Bandai releases. One huge plus however is the presence of English subtitles in the Digital Plus DVD, most notably in the BS6 Antarctica FMVs, so yes, we finally get to understand what some of the new cutscenes are about. English subtitles weren’t available in the Blue Fleet Box Edition. 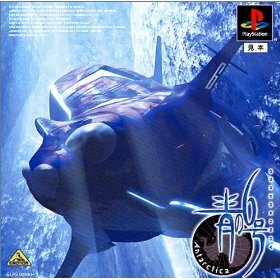 A BS6 playstation 1 game that was released shortly after the conclusion of the OVA. Sold only in Japan, this game was not very well rated by non-BS6 fans, and to this day sadly remains a relatively unknown item to foreign audiences. Copies of this can still be found on Amazon.jp or at retro-game shops in Akihabara. Strongly recommended for serious BS6 fans, as it contains over 30 minutes of new animation. A particularly rare and costly game, sold only in Japan. Copies of this can still be found on Amazon.jp or at retro-game shops in Akihabara. Strongly recommended for serious BS6 fans. Review of the game can be found in a separate article on this site. This is the only official ‘data’ book on the OVA, but it contains more than enough information to get you familiarized with the series, assuming you can read Japanese. Much of the information and artwork has since been taken out and placed online and/or on the DVD, but there are several sections (story summary, background, terminologies) that are exclusive. 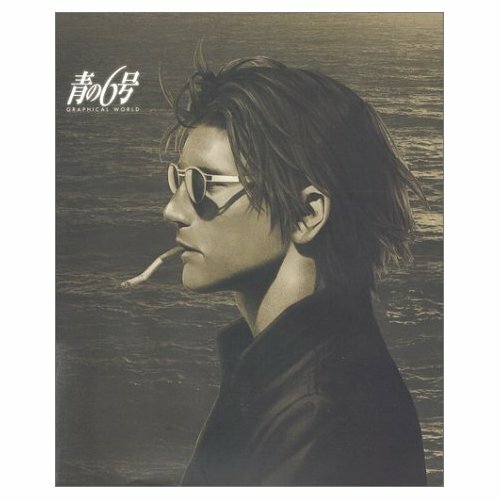 Definitely worth getting if you’re a serious fan, and its still being sold on Amazon.co.jp if I remember correctly. Cheaper copies available on ebay. Note: Contents are in Japanese. The official novel comes in two volumes, with each book containing some unique B/W illustrations not found elsewhere. The books were written by the original author of the BS6 universe and the director of the OVA. I can’t read Japanese, but I still bought them…they were going for 20YEN each on Amazon. Obsession indeed. They are still widely available on Amazon, Yahoo Japan auctions and ebay. The soundtracks for BS6 have been sold numerous times, at first as single CDs. This was eventually bundled in the collector’s edition and the latest (2006) Blue Fleet Boxset (3 discs total). All music, including the unreleased soundtrack for BS6: Time & Tide were composed by THE THRILL. During Zorndyke’s Blue Dome speech; when Mutio is sitting next to Hayami (Mix of Mutio’s song). An interview session with the OVA and game’s staff, including Range Murata, Satoro Ozawa and Mahiro Maeda (the OVA’s director). Lots of interesting details and revelations here. A particularly rare but nonetheless still official piece of BS6 merchandise, this ‘hybrid’ CD-ROM package contains screen savers, sound clips, movie clips and other computer related goodies to help give your desktop a BS6 theme. The box also comes with a keychain and mousepad. The Disc runs on Windows 95/98 and even on a Mac, but it works just fine on Vista as well. Details on this unusual item is explained in a separate post [here]. There’s also an interesting blue sub artbook called “azure” by Range murata I found online about blue submarine 6. Those novels are probably really interesting and give all sorts of insights into the Blue Sub 6 universe. Thanks 🙂 I am most aware of Henkouride’s lovely BS6 site (it gave me inspiration to start this one), but didn’t notice that 4th soundtrack listing on the page. I’ll probably ask him what he meant by ‘not for sale’. Could be a one-time thing or something, or too obscure. So azure is not the same thing as the Newtype artbook? Also, I don’t listing it (azure) as a doujin/fanwork would be proper. Azure was created by Range Murata and he is one of the people who was behind the character creation in the OVA. It seems a little more official than a fanwork. 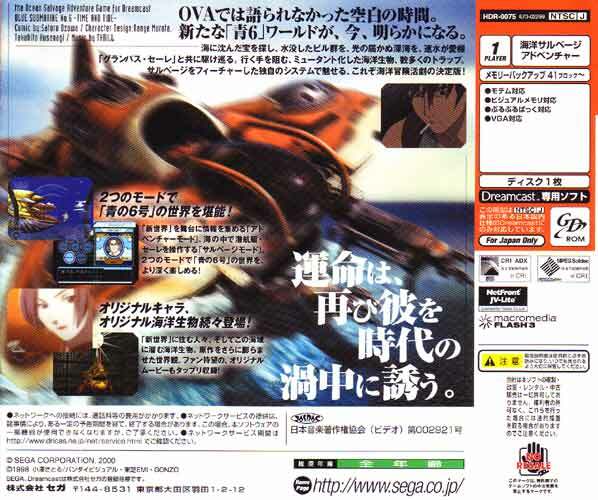 Scans of azure aren’t very hard to find online in case you want a sneak peak at it first. Also, why isn’t the original Blue Sub 6 manga by Satoru Ozawa in here. It’s what the OVA was based on, and it was reprinted when the OVA was released. Email Me Dane! I’ll direct you as to were you can get a look at azure online. I’m curious as to how similar it is to the Newtype book. The Azure character filegraphy book has been scanned before, and can be found on torrent etc if you look hard enough. Won’t be putting all the images here though. Just 1-2, like the one in Gusuku’s profile. But hats off to you for getting a genuine copy. The mark of a true fan 😛 Hope you didn’t pay US$60 like I did :(. Well, with shipping + insurance, it came to about $60, but I have made a contact with the seller who lives in Japan, and he/she and I are discussing future acquisitions! 🙂 That’s great that there are images scanned online for fans. True that 😀 I’ll hunt around for it some. I appreciate being able to listen to the intro theme! I take it you don’t have the manga then? Yes, I don’t have the manga series and don’t plan to buy them, but I have read a few volumes of the 1960’s version, and it really didn’t impress me that much. 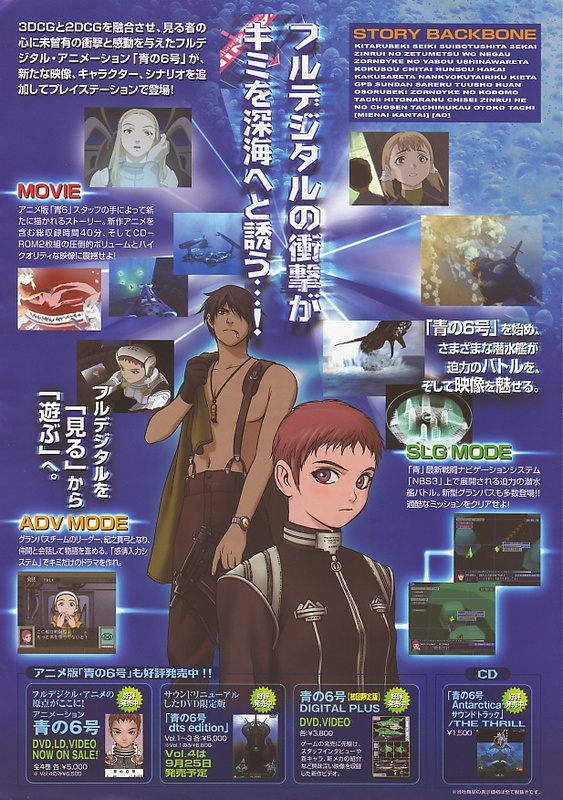 I must qualify however that this blog is mostly about the BS6 OVA (1998) and its related material. The storyline in the original manga is much different from the OVA. 🙂 Thanks for visiting! The download link for the Antarctica track is broken. Pity the Antarctica soundtrack is so hard to find: Nobody is selling the physical copy, and it doesn’t appear anyone’s ever uploaded a copy. I’ll fix the link to the selected tracks once I have time (busy with work these few weeks). I’ve never and will not be putting up the entire soundtrack for policy reasons. Hey, could some one reupload the Antarctica track? I didn’t see it the first time, and hence didn’t download it. You need to update this page ticktank. It looks like blue submarine 6 was released on bluray recently! Could an english bluray release be far behind? Release date is August 27, 2010. In case anyone doesn’t know, bluray means HD video. You need a bluray player to play the movie (dvd player won’t work). Also according to the link I just posted the disc is region free and has ENGLISH SUBTITLES. Nice to see you still heavily devoted to BS6. I’ve been busy with work and some other stuff lately; so no real time to update stuff. But I will get down to it. BS6 on Blue Ray sounds awesome indeed. On a related note; Range Murata is planning to release a massive compilation of his anime works some time this year (http://www.pseweb.com/page/news.html#rmaw) and I’ll probably update this page with both items eventually.